A poetry slam sounds like a mysterious, scary, and intimidating thing. Will poetry books fly through the air and slam into your face? Not at all! In fact, a poetry slam is just reading poems aloud in a public place to celebrate poetry. The first poetry slam happened in 1986 in Chicago. Since then, poetry slams have spread throughout the world, both competitively and for fun. Typically, poems read at poetry slams have a strong rhythm to them and are often on issues that the speaker is passionate about. While most poetry slams only use original poetry, a few feature poems by other writers. Either way, the important part is to care about the poems you choose and love to read them out loud. Staging a poetry slam is very easy. If you want, you can host one in your own home with a few other families (you want an audience, after all!). If you don’t have space in your house, consider asking a local coffee shop or library if they would be willing to host a family-friendly poetry slam. Once you have a place, all you need is some sort of a performance area. A mic is also helpful but not necessary. Choose someone to be your MC and introduce each speaker. Have the MC use a sheet of paper as a sign-up sheet for people to write their names down on. It’s part of the fun to see your name coming up on the list! If you are hosting the slam in a public venue, ask for some sign-ups in advance from people you know to get the slam started. You may also want to preview poems before people start slamming. As an audience member, make sure you show your appreciation for each speaker by clapping or snapping after their performance. Let your MC introduce the next speaker and have the MC wrap up the poetry slam at the end of the event. Beginning: Start with a topic you are passionate about. If animal cruelty is something you feel strongly about, then write about it. Let what you care about fuel your writing. Deal with your fears: Don’t be afraid to be vulnerable. Often, the things that we care about are deeply personal to us. It can be a very positive experience to share the pain you have felt, and it may touch others in ways you don’t expect. The form: Your poem doesn’t have to have a set rhythm or rhyme scheme, but many poems repeat sounds (alliteration, internal rhyme, consonance, assonance) to make the poem more interesting. Slam poems are usually free verse, but they can use line breaks and punctuation for emphasis just like traditional poems. You’ll want to aim for a poem that takes 3 minutes or less to read aloud. Practice: Be sure to practice! If you can, practice in front of a mirror so that you can see what you look like as you perform. 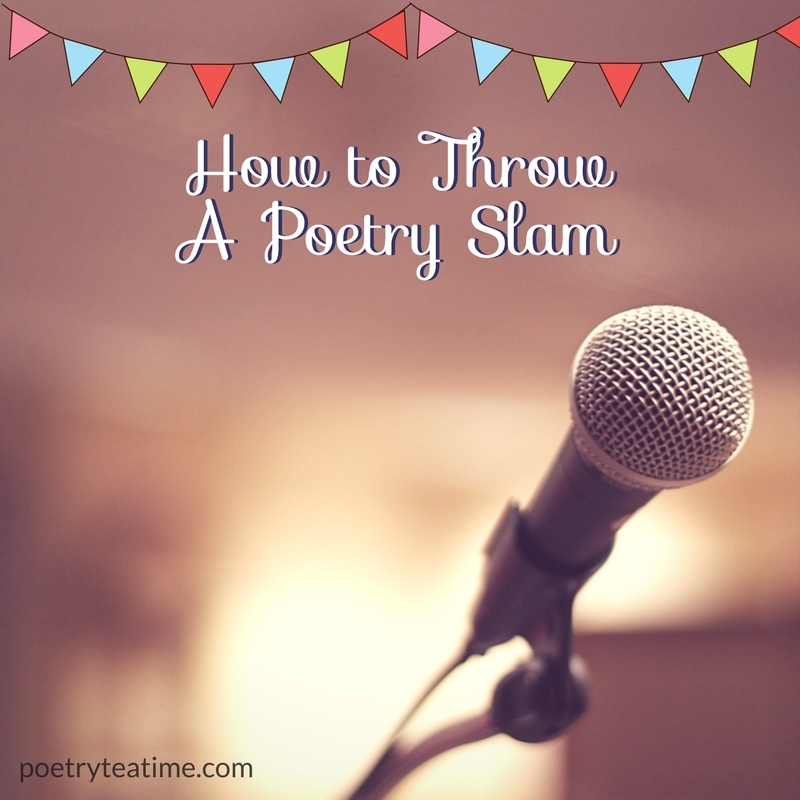 Tips for competitions: If you find that you love poetry slams and want to get involved competitively, check out the book and resource list below for some helpful tips to get you started. 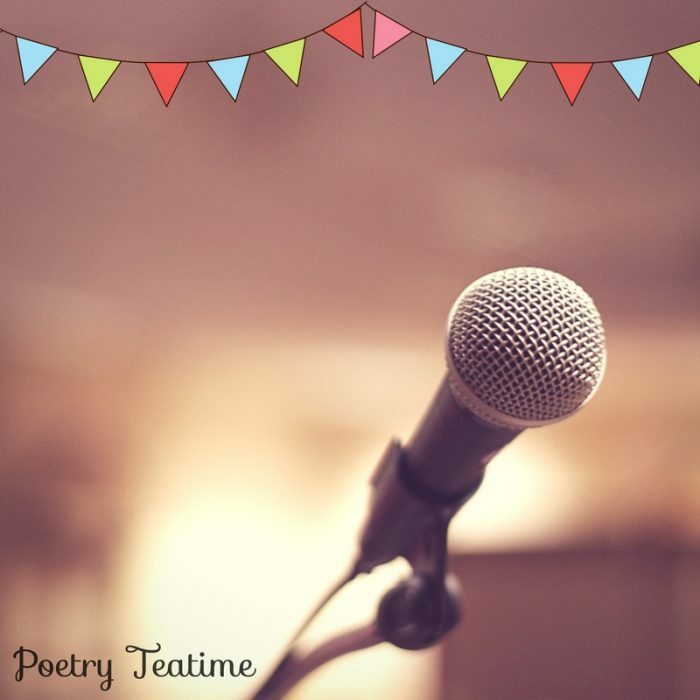 Poetry slams and poetry contests are pretty common through both local school systems and independently, so you may be able to find one in your area that you can participate in!